Harriet E. Wilson (March 15, 1825 – June 28, 1900) was born a free person of color in New Hampshire. She was orphaned when young and bound until the age of 18 as an indentured servant. 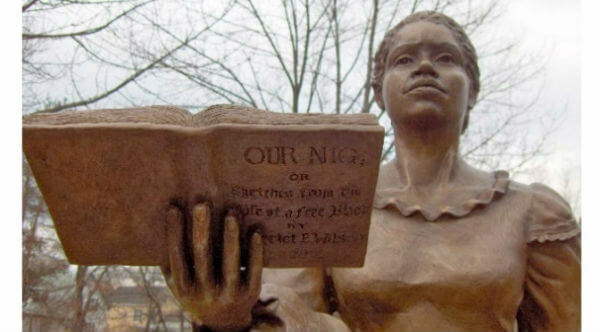 Her novel Our Nig, or Sketches from the Life of a Free Black was published anonymously in 1859 in Boston, Massachusetts, and was not widely known. The novel was discovered in 1982 by the scholar Henry Louis Gates, Jr.
Wilson died on June 28, 1900, in the Quincy Hospital in Quincy, Massachusetts. 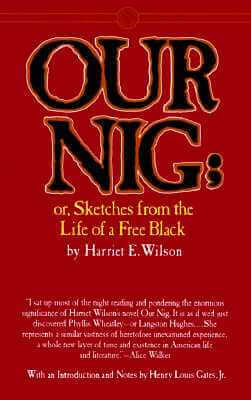 Tell us how much you like Harriet E. Wilson.